On 8th July 2018, a giant balloon made by NASA was launched in Estrange, Sweden. The launch of the balloon is said to be for studying the blue clouds. 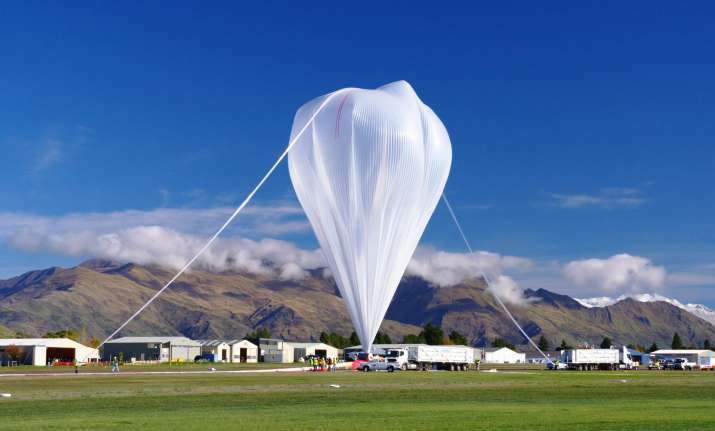 Ballo has floated in the sky for about five days which is over 80 Km above the Earth to reach Western Nunavut, Canada. The clouds that are present out there are known as noctilucent or polar mesospheric clouds (PMC). These clouds are said to help the scientists to understand turbulence that is present in the atmosphere. As per the US space agency, it has said that the new NASA balloon mission captured the images of this thin group of seasonal electric blue clouds which is present on the atmosphere. This mission may lead to the improved weather forecasting. The data which are collected from these clouds are said to be as noctilucent clouds or even polar mesospheric clouds (PMCs). It will be helping the scientists to get a better understanding about the turbulence that is present in the atmosphere and also in the lakes, oceans, lakes or any other planetary atmosphere, as said by the NASA in the statement on Thursday. According to the principal investigator of the PMC Turbo Mission, Dave Fritts said to the Global Atmospheric Technologies and Sciences that in Boulder, Colorado that they have been able to get some extraordinary data from the mission. The cameras that are there in the mission can capture the interesting events out there. These new images and data will able to have some new sights to the complex dynamics of the system. NASA’s PMC Turbo Mission has got cameras which have taken the pictures from the ballon. The camera was said to be captured about six million high-resolution images. As a result, the total storage of the camera was filled up. The total storage of data that the camera can store is about 120 terabytes of data storage that includes a variety of PMC displays that can reveal the process which can lead to the turbulence, as said by NASA. Fritts added by saying that this is for the very first time that they have been able to visualize the flow of energy which is from the larger gravity waves to smaller flow instabilities as well as turbulence that is present in the upper atmosphere. When it comes to this altitudes, one can able to see the gravity waves that breaks like the ocean wave on the beach.